In our past posts, you’ve heard us basically fangirl over the Library of Congress because it’s all things awesome. If you ever have a chance to go and check it out in DC – do it! Plus, if you head over to the “Resources” section on our website we provide links to photos relevant to our games. As with all things in life, we have our favorites so we decided to share them below. 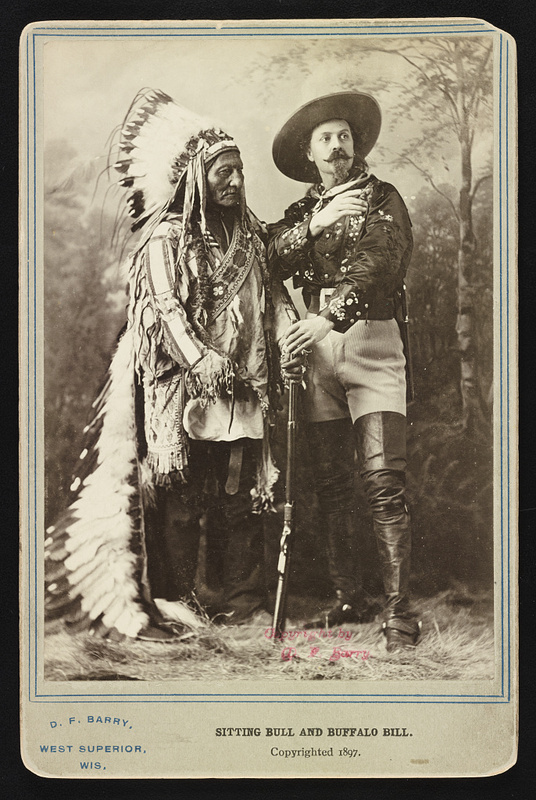 Sitting Bull was a Lakota chief who stayed defiant and fought the American military until the very end. 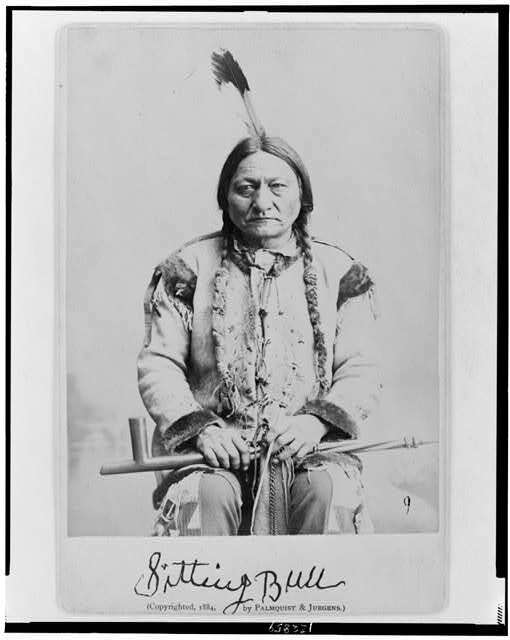 Perhaps the widest known Sioux leader, Sitting Bull united and led his people against the United States government as it tried to take their land and destroy them. He was known for being both a warrior and a holy man and was recognized for many acts of bravery, including counting coup. The juxtaposition of these two men gives just a glimpse of their history with each other. It was a complex relationship to put it lightly. (In fact there’s an entire book about it) . This is probably one of the most fascinating photos that provide a window into the past. The description reads “Reading the Declaration of Independence [white man to Lakota (Brule) assemblage.” Honestly, how much more ironic can you get? 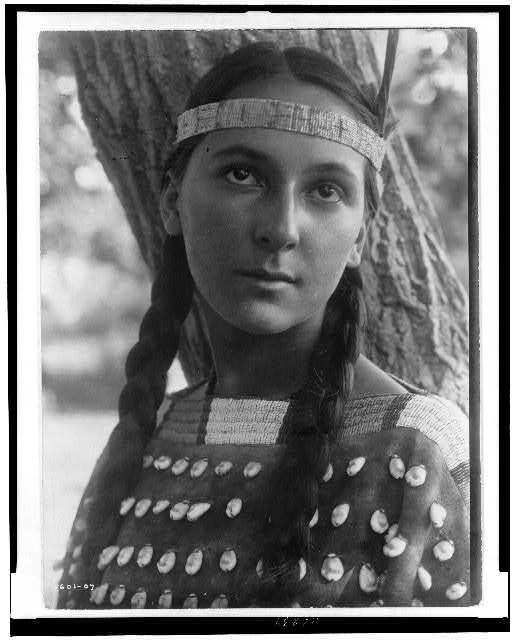 This photo is titled “Lucille.” She’s described as, “Head-and-shoulders portrait of Dakota woman standing in front of tree.” Why is this photo so great? Her features don’t fit the stereotypical ones associated with Native Americans. Why? Because much like the REST OF THE WORLD, Native Americans are a diverse population. They always have been. This picture of “Lucille” was taken in 1907. 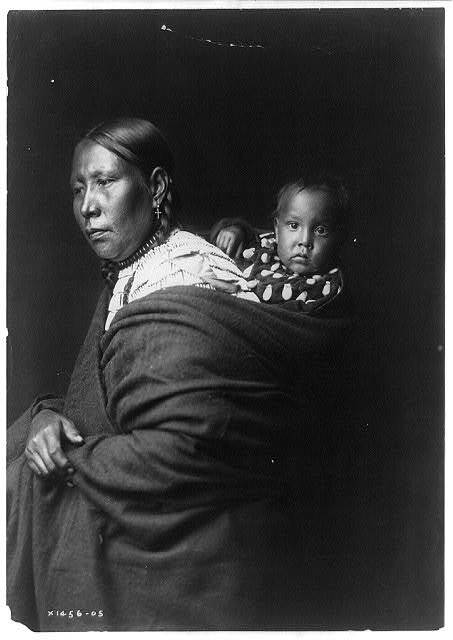 This picture of a mother and her child taken in 1905 is one of our faves for multiple reasons. For starters, moms rock. Secondly, the mom is a part of the Ogalala, who are one of the seven tribes of the Dakota people. Lastly, babies are crazy cute including this one. The image also provides insight into how mothers traveled with their children over 100 years ago. If you look closely you can see men seated at two tables. These men are collecting data for the U.S. Census back between 1880-1900. A truly powerful picture, especially considering the ongoing encroachment on those very lands today. 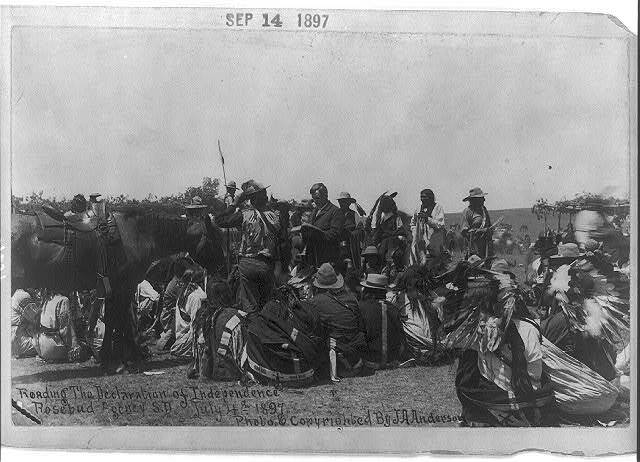 Our last second-to-last photo shows the Ghost dance of the Sioux Indians. 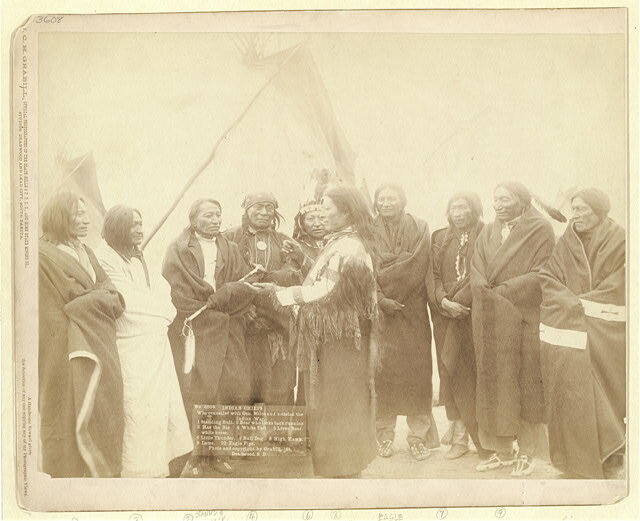 The Ghost dance was believed to reunite the living with the spirits of the dead. The spirits of the dead would fight on their behalf and make the white oppressors leave. 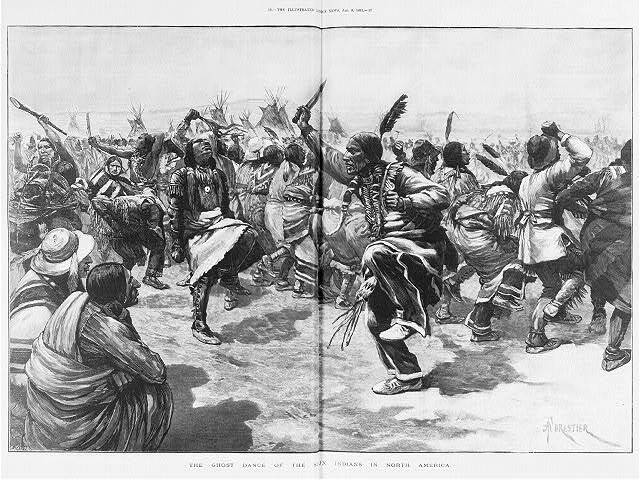 The dance also brought about peace, prosperity, and unity. 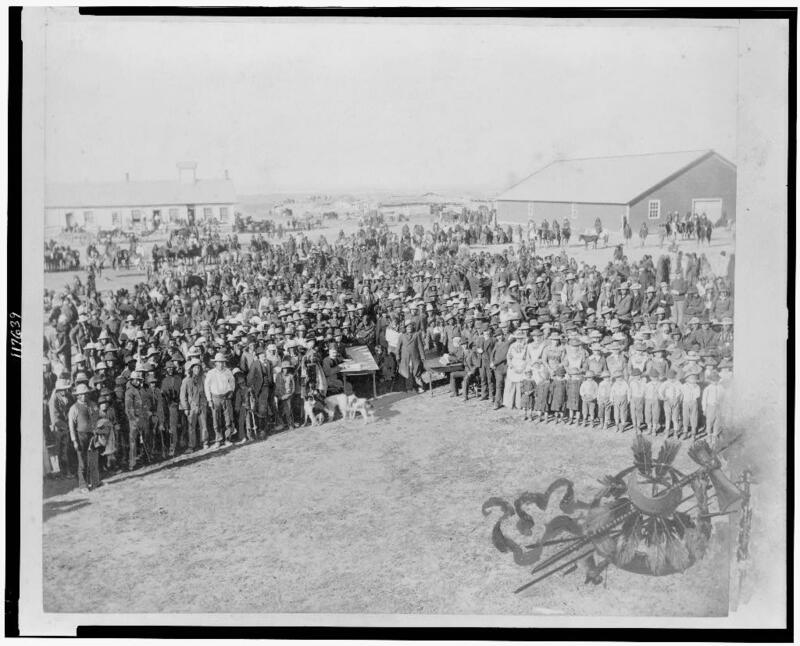 This picture shows the Indian chiefs who counseled General Miles. Miles is credited as one of the influential figures in ending the Indian Wars, which unfortunately were far from the ending of the mistreatment of Native Americans. Miles is recorded as having taken both a military and diplomatic approach with the Plains Indians, however it’s hard to imagine how one can diplomatically take away someone’s homeland. Let us know what you think of the pics and if there’s any you come across! Don’t forget to check out Spirit Lake which is based on the Dakota/Sioux tribe!